LAST YEAR SAW a record number of Building Energy Rating (BER) audits taking place across Ireland. Over the year 105,539 dwellings had the test done, bringing the total number of BER audits between January 2009 and December 2014 to 544,621. The results of these audits have shown a drastic improvement in the last 10 years in home heating. Between 2000 and 2004, only 8% of Irish homes built received a BER rating of either A or B. This had grown to 93% for the period of 2010 to 2014. Figures released today by the CSO track the energy loss from Irish houses since the 18th century and note substantial improvements. In the period between 1700 and 1977 no properties in Ireland were thought to have an ‘A’ energy rating – the highest available. The majority, 33%, were classified as having the lowest rating of F-G. The trend of no houses achieving the best energy rating continued up until 2004. Between 2005 and 2009, 1% of houses hit the ‘A’ energy rating, with this figure rising to 93% for homes constructed in the period between 2010 and 2014. For the period prior to 1977, only 21% of buildings received a BER rating of C or better. Since 2000, only 23% of buildings constructed have received a rating of D or worse. Today’s figures showed Meath, Louth (both with 29%) and Cork (with 32%) to have scored a high number of audited dwellings scoring C1 or higher. These were better than the national average of 23%. There was also a lot of variation shown in the types of fuel used across the country. The counties shown to have the highest use of solid fuel were Offaly (24%), Westmeath (15%) and Longford (14%). The majority of homes (86%) across the country were shown to use mains gas or heating oil as their heating source. This figure accounted for detached, semi-detached and terrace properties. 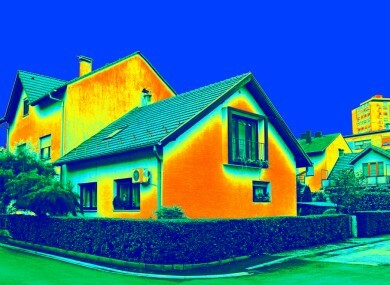 51% of apartments were shown to use electricity as their main heating source. Email “Irish homes are a lot warmer than they were 10 years ago ”. Feedback on “Irish homes are a lot warmer than they were 10 years ago ”.